I am a sucker for milk glass. I also really love succulents. 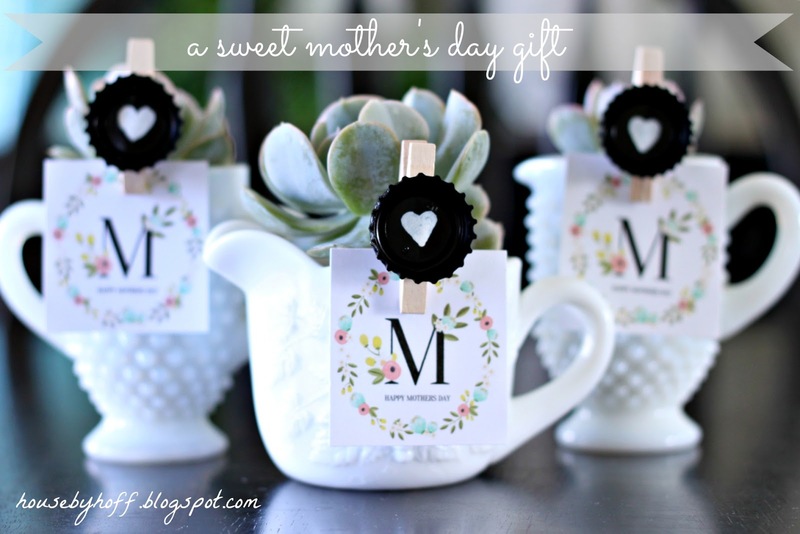 Put these two things together, and you’ve got a sweet Mother’s Day gift! I recently found these three little milk glass pieces at Goodwill. As soon as I saw them, I knew what I wanted to do with them! I purchased my succulents at a local greenhouse, but you can find them pretty much anywhere. I even saw some at Wal-Mart the other day. 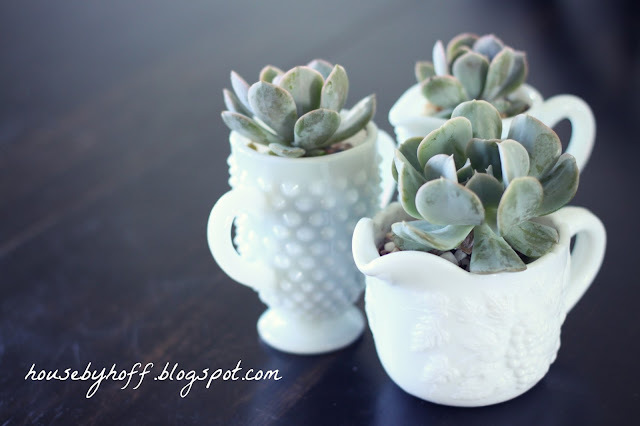 To see my tutorial on how to plant succulents, click here. I made the little clips by spray painting some bottle tops black. 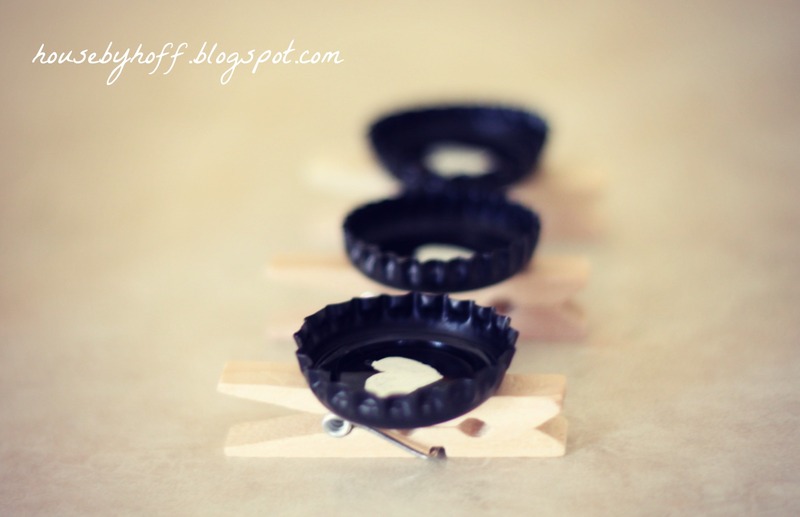 I used a white paint marker to add the hearts and hot glued them to some mini-clothespins. 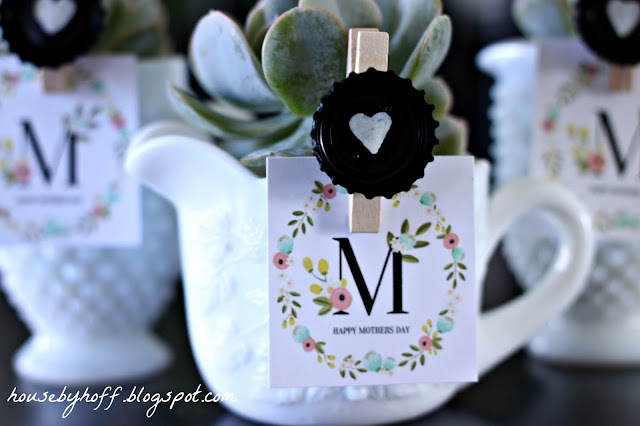 I found and printed out these beautiful Mother’s Day tags over at The Painted Arrow. Don’t they add the perfect vintage detail? Love them! Remember that it is teacher appreciation week! You could switch out the tag for a note written by your kiddo for his or her teacher. Teachers are some of the hardest working professionals on the planet…I should know, I taught 5th grade for 6.5 years. I’ve also been subbing lately, and it reminds me how much planning and work goes into each and every day of school! Previous Post: « A Surprise Day at the Winery! Those are so pretty! I really love how you used the tags too. I must find milk glass! This is so sweet!! I love them in the milk glass! Such a PRETTY idea! I was wanting to get my mom a little plant of some sort. love this!